With all the mushy snow piled up on sidewalks and puddles of dirty water collecting at curbs, sometimes I'm too lazy to cross the street. So when we got out of the downtown 6 train at Spring after an uptown meeting, we took the path of least resistance to Cafe Select. 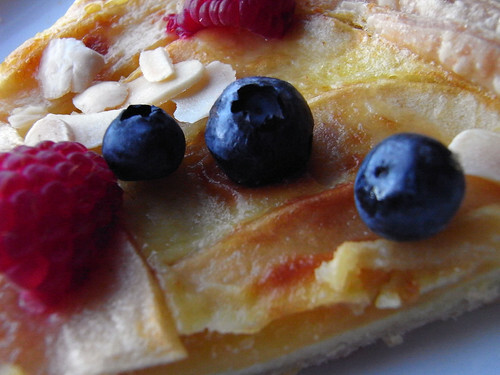 Presto, fruit tart for afternoon dessert!